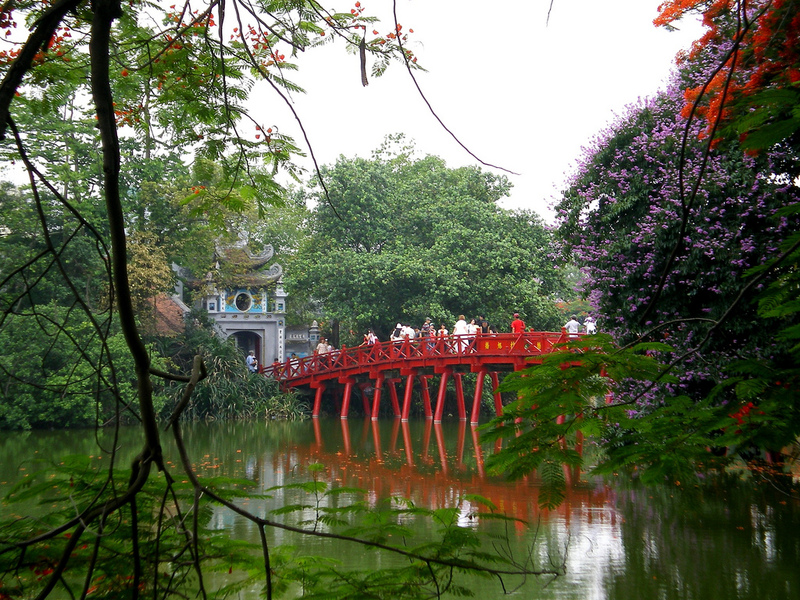 Hanoi is a city of lakes, shaded boulevards and expansive parks. 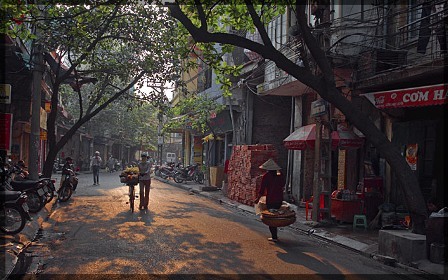 Considered to be a charming colonial city, you’ll find that Hanoi has a unique blend of traditional and modern, a sometimes chaotic city characterized by the boundless energy of its inhabitants. The tree-lined boulevards, lakes and blend of French, Chinese and Vietnamese architecture makes this a fascinating city, full of character and mystique. Whether you choose to take a cyclo trip to explore the "36 streets and 36 wares" of the Old Quarter or wander the streets on your own, you're sure to find this part of Hanoi to be nothing short of amazing. Bat Trang was known as a famous ceramic producing village formed in 14th century. The village is located near by the Red River which is close to Hanoi city. 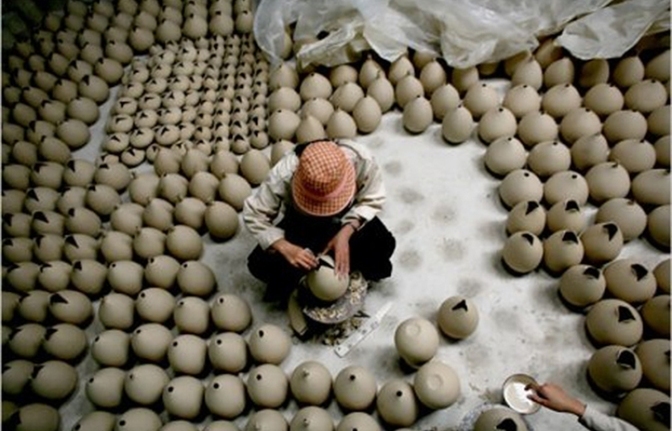 Bat Trang became the center of ceramic making because of the rich deposits of white clay. Whether you're a browsing amateur art lover or a researching art historian, this tour will give you a comprehensive overview of 700 years of Vietnamese ceramic masterpieces. 07:45 - 08:30: We’ll pick you up from your hotel and make our first stop at Tran Quoc Pagoda, a Buddhist relic and national heritage site on the shores of Tay Ho (West Lake). 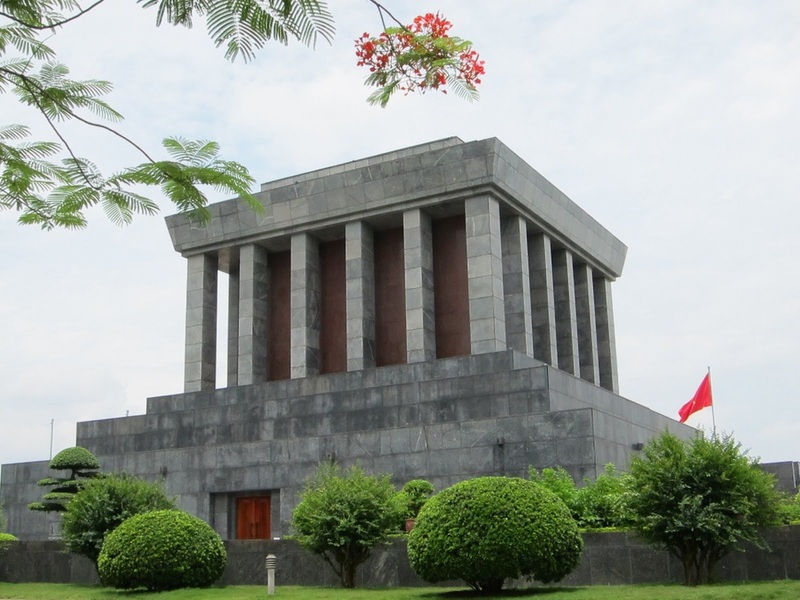 09:00: Visit Ho Chi Minh’s Mausoleum, the final resting place of Vietnam’s greatest father, and see the stilt house where Ho Chi Minh lived and worked from 1958 to 1969. 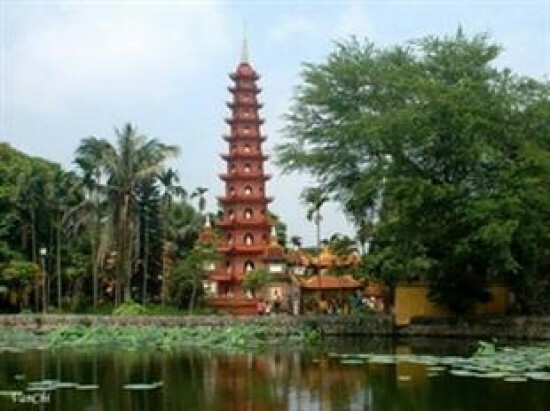 10:00: Visit One-Pillar Pagoda, which is modeled after a lotus flower. It is a symbol of the city of Hanoi. 11:00: Learn about Vietnam’s 54 ethnic groups as you tour the comprehensive displays of the Ethnology Museum. 13:00: Enjoy a delicious lunch at a local restaurant in Hanoi's Old Quarter. 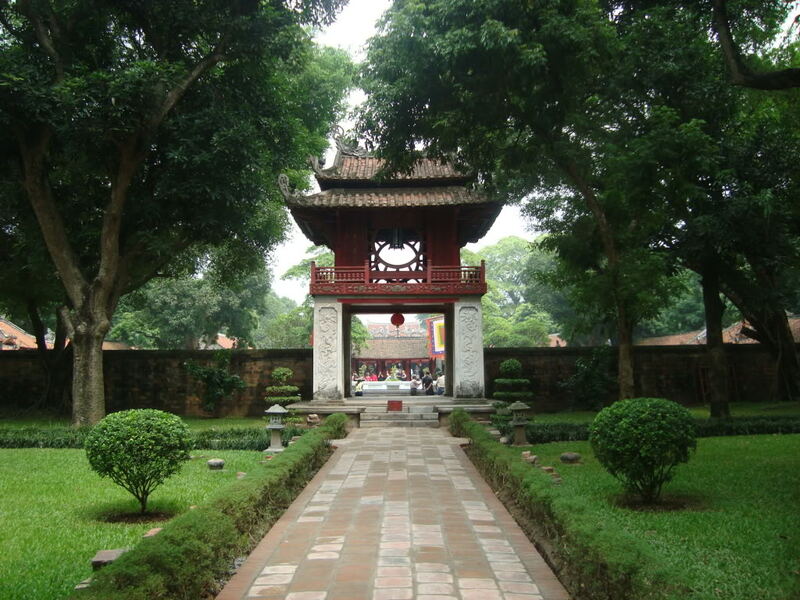 14:00: Visit the Temple of Literature, the most famous temple and Vietnam's first national university. First constructed in 1070 AD under King Ly Nhan Tong and dedicated to Confucius, sages and scholars, the Temple of Literature is a vast complex of temples, courtyards and gardens. 15:30: Drive to the legendary Hoan Kiem Lake, and visit the Ngoc Son Temple (the Temple of the Jade Mountain), dedicated to Confucian and Taoist philosophers and former general commander Tran Hung Dao, a national hero revered for his struggle against three major Mongol invasions. You will also see the beautiful Vietnamese and French architecture that surround the lake. 16:00: Arrive back at your hotel. Tour ends. 09:30: Visit a sacred place to recall President Ho Chi Minh’s life and career near Ho Chi Minh’s Mausoleum. Tour the stilt-house where Ho Chi Minh lived and worked from 1958 to 1969. 10:30: Visit One-Pillar Pagoda, which is modeled after a lotus flower. It is a symbol of the city of Hanoi. 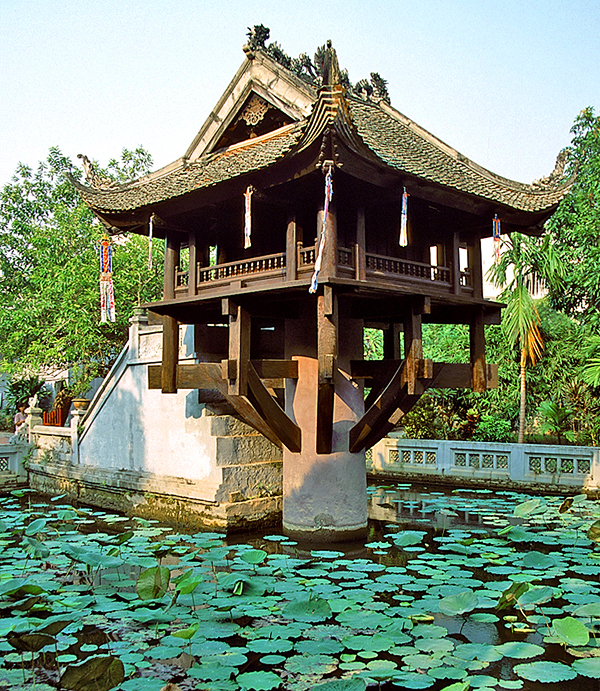 11:00: Visit the Temple of Literature, the most famous temple and Vietnam's first national university. First constructed in 1070 AD under King Ly Nhan Tong and dedicated to Confucius, sages and scholars, the Temple of Literature is a vast complex of temples, courtyards and gardens. 12:30: Enjoy a delicious lunch at a local restaurant in Hanoi's Old Quarter. 13:30: Next, visit a traditional ceramics village at Bat Trang. Visit the pottery showrooms and see how these high-quality products are made. 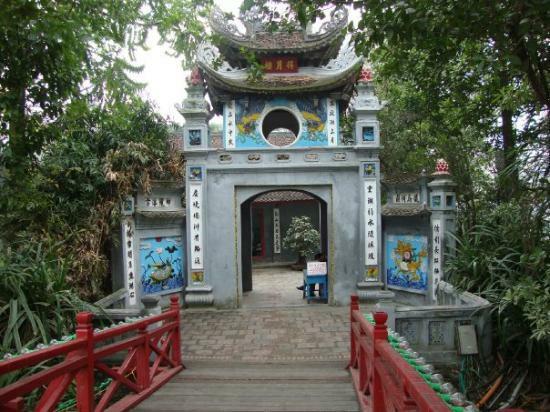 14:30: Drive to the legendary Hoan Kiem Lake, and visit the Ngoc Son Temple (the Temple of the Jade Mountain), dedicated to Confucian and Taoist philosophers and former general commander Tran Hung Dao, a national hero revered for his struggle against three major Mongol invasions. You will also see the beautiful Vietnamese and French architecture that surround the lake. 15:30: Arrive back at your hotel. Tour ends.